A growing tourist destination with islands dotting the Adriatic Sea, startups are also springing up along the Dalmation coastline in Croatia. Since joining the EU in 2013, the country’s startup scene has begun to take off with innovation in several sectors including travel, media, foodtech, and robotics. Though the country still lags behind in terms of investors and startup friendly legislation, and some of Croatia’s most successful startups have moved their headquarters to more fertile ecosystems, more are beginning to stay put as the domestic ecosystem strengthens. TalentLyft’s goal is to help recruiters, HR professionals and small business owners keep up with new trends and emerging technologies in acquiring talent, and make it easier for companies to find, attract and hire the best talent for their open positions. Its recruiting software offers both recruitment marketing solutions to attract the best candidates, and an applicant tracking system to solve post-application problems such as effective candidate communication, a database will all the applicants and their profiles, candidate assessment kits and scorecards, and interview scheduling all in one place. Founded in 2015 and based in Zagreb, TalentLyft raised $150k in a seed round in 2017. Mediatoolkit is a media monitoring tool that tracks mentions of your brand across over 100 million websites and social media including Twitter, Instagram, and Facebook in real time. Mediatoolkit will alert you via email, text, or app when your company, brand, or competition is mentioned anywhere online with customised alerts. The platform is used by PR specialists, brand managers, and executives to help manage a company’s reputation and gain insights into their competition and create reports based on the data. Founded in 2014, Mediatoolkit is already used by major brands and organisations such as Lufthansa, Al-Jazeera Balkans, Vichy Laboratories, the European Commission, and Transparency International. Founded in 2017, Gideon Brothers is developing an AI-powered robot for various industrial applications including logistics and manufacturing. The startup is developing hardware and software to convert a wide variety of industrial machines and vehicles into autonomous mobile robots that are safe in dynamic, people-filled spaces. Gideon Brothers won the “European AI Rising Star” award at Founders Forum in London in June 2018, and has raised $2 million to date. GammaChef is robotic chef that is capable of preparing any one pot meal. Based on digital recipes, GammaChef will prepare you a fresh, homemade, and tasty meal. It can be used for stews, pasta dishes, and especially risottos, where the robotic arm provides regular, programmed stirring. Controllable from a smartphone, the robot will heat the pan, add ingredients and spices at proper times, and stir, drawing on a database of recipes. Founded in 2016, the startup has received funding from one of Croatia’s biggest food companies, Podravka. Founded in 2017 and based in Zagreb, HUBBIG is a logistics platform for cargo transport that optimises supply chain management, document flow and cargo tracking. It’s also a marketplace that connects carriers, airlines, and ship owners with clients. On its platform, businesses can schedule the shipment of goods from ports all over the world, including China, the UAE, New York, Toronto, and Singapore, directly into Zagreb. Businesses don’t have to rent an entire container, but can ship as little as one cubed metre. All essential documents and the tracking of cargo can be viewed through HUBBIG’s app. 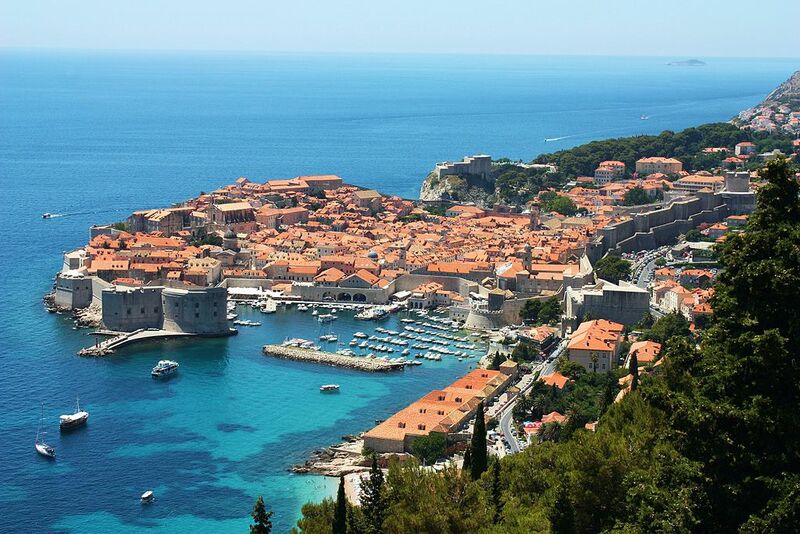 Pointers Travel is an online travel guide and app for tourist destinations in Croatia, Germany, South Africa, and the US. It has in-depth local information about Croatia’s cities and island getaways, featuring beaches, caves, castles, as well as restaurants, nightlife, events, shopping, and accomodations. Founded in 2015 and based in Osijek, the startup has since expanded to include vacation spots in New York City, Florida, Cologne, several cities in South Africa, and has even developed a page for UK companies looking to find office space and help relocating to Germany in the wake of Brexit. Based in Zagreb, Beyond Seen Screen’s app ExRey aims to be the “Shazam for video”. Its app allows users to scan videos such as movies and series on any screen to get more information related to that content. Just launched on Google Play in September 2018, ExRey is still in its early stages, but plans to offer advertisers the opportunity to integrate into its app, to create more interactive forms of marketing and personalised watching experiences. ExRey recently signed a pilot project with Discovery Film & Video for two TV channels, where they will be integrating a video library of 500 documentaries and movies which are being distributed to more than 20 million potential viewers in Croatia, Slovenia, Macedonia, Bosnia and Herzegovina, Serbia, Montenegro, and Albania. Agrivi‘s vision to change the way food is produced in its core and positively impact one billion lives by helping farmers reach sustainable, resource-efficient and profitable production. Agrivi has aggregated the best farming practices for over 100 crops, and put them on a dashboard so farmers can make data-driven decisions at all points in the growing season. In 2014 Agrivi won the World Startup Competition in Seoul and now helps thousands of farmers from more than 130 countries, in their native languages. The startup was founded in 2013 and has raised a total of $1.4 million from South Central Ventures. Based in Zagreb, Amodo developed one of the first IoT platforms, leveraging smartphone technology to report data like kilometers travelled, and average, maximum and minimum speeds into a its connected car platform, Driver Copilot. The company continued to develop platform to report additional maintenance data like oil and fuel usage, and using this data. Amodo now delivers a solution that provides car diagnostics and insights into car status for instant service flow and real-time notifications. With the integration of spare parts databases, the Amodo platform provides valuable insights not only to fleet managers, but also to car owners and those that are planning to purchase a car. Amodo has raised a total of $1 million in funding to date. Rentlio simplifies the lives of vacation rental, hostel and small hotel owners, allowing them to focus on their guests. Through its app, accommodation providers can manage various administrative tasks, such as synchronising bookings across multiple channels including Booking.com, Expedia, and AirBnB; checking in guests with a real time ID and passport scanning feature; invoicing; providing statistics, and more. Rentlio was founded in 2014 and is based in Zadar.